One of the USCLC's missions is to advance knowledge through research. Follow these links to find out about our publications, research projects, partnerships with industry and other organizations, and novel clinical trials. 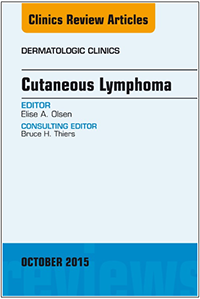 Join USCLC and help people living with cutaneous lymphoma by giving to the Annual Fund Campaign. Your generous donation will enable the life-changing work of our organization to continue. The USCLC Young Physician Mentorship Program is designed to allow interested physicians to explore the field of cutaneous lymphoma with an experienced mentor while also gaining practical knowledge about the workflow of cutaneous lymphoma multidisciplinary clinics. *Funding has been depleted for 2016. We will update this site when grants have been secured to fund this program.